Upon clearing the ninth layer of the Labyrinth of Chaos, players can now unlock Ultimate difficulty. Like the other difficulties, Ultimate difficulty can be selected at the Temple. When in Ultimate difficulty, the "Tower of Mirages," a new randomly-generated dungeon, can be explored. The random generation purportedly adds tens of thousands of level possibilities to shoot, stab, and blast your way through. In addition to the new difficulty mode and level cap, the update has also changed some back-end things as well. Gameplay stability has been improved, class skills have received some adjustments, and NPC behavior has been tweaked. Most importantly from a co-op standpoint, players that possess a save file that has cleared the Story Mode can skip the first quests that lead up to Talisman collection when creating a new character. This means jumping into co-op play with secondary characters that much quicker. Guild Quests that have been cleared before can also be skipped in later playthroughs. 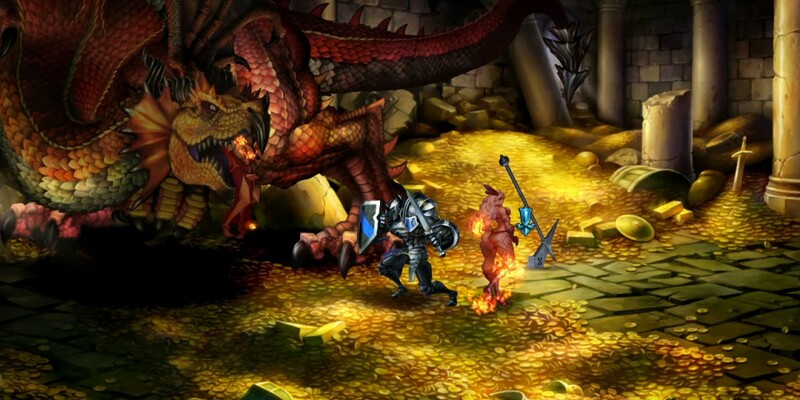 This is a pretty massive update to Dragon's Crown, and it should be of note that it's the fifth and final planned update to the game. So what do you guys think? Will the new crazy high level cap and difficulty mode keep you occupied for awhile? If you missed it, be sure to check out our Co-Op Review.